New albums are fighting for relevance. Whether you are listening to music on the bus, running on the track or relaxing at home, music is a major part of a student’s life. Recently, a lot of albums have been released in the attempt to take home a prize at the Video Music Awards. An album that has been receiving a lot of traction lately has been Ariana Grande’s “Sweetener.” This album has been teased among fans as early as of April 19, 2018. Although there was a lot of hype about the new album, the reviews have been mixed. Some reviewers have said that some of the songs have similar sounds to them and the songs they liked were very short. Despite the slight controversy, “Sweetener” has reached the number one spot on the Billboard 200 chart for the week of Sept. 1, 2018. Rapper Travis Scott’s album “Astroworld” has flourished at the number one spot on the Billboard 200 chart for two weeks. 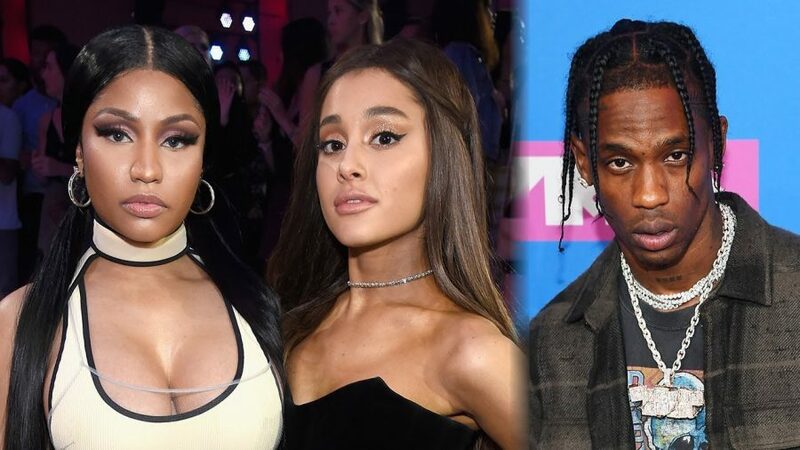 Popular songs on the album are “Sicko Mode” and “Stargazing,” both charting high as of Sept. 1, 2018. Travis’ coming to success is in question, due to his relationship with the soon to be billionaire Kylie Jenner. Some artists like Nicki Minaj speculate that due to being associated with the Kardashian-Jenner clan, Scott has received major press, which launched his career. A great example of this would be Kylie’s best friend, Jordyn Woods. Woods has not done much to become famous or significantly different, aside from being best friends with Kylie. The same sort of lense can be applied to Scott. “Queen” is the fourth studio album from the famous female rapper Nicki Minaj. The album’s name could come from Queens, New York, where she was raised, or the fact that she calls herself the “Queen of Rap”. Her album has been riding the coattails of “Astroworld,” being one place behind it on the Billboard 200 chart for the weeks of Aug. 25, 2018 and Sept. 1, 2018. The quality of the overall album was lowered by songs that would have been better cut out of the album. Her song “Barbie Dreams” has been making headlines, but mostly because of the major amount of name dropping. It seemed like a good business move on her part because there have been reactions from the people being name dropped, which circulates more attention to the overall album. If you are looking for new music to spice up your playlist look no further. All of these albums have reached the tops of the charts, which is an achievement in itself.